Steve Parish has announced that he isn’t going to be appearing on Dragon’s Den after all. Just a week after he was revealed as one of the new Dragons’ the part owner of Crystal Palace FC, has withdrawn from the series. 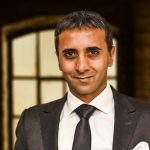 “On reflection, I have come to the conclusion that I couldn’t give Dragons’ Den the time and commitment the show needs and that the entrepreneurs deserve, therefore I have decided to give up my Dragons’ seat to someone else,” he said in a statement. The show, which is filmed in Manchester, had replaced Nick Jenkins and Sarah Willingham with Parish and Jenny Campbell. The show returns for a 15th series later in the year, alongside returning Dragons Peter Jones, Deborah Meaden and Touker Suleyman. It is produced by BBC Studios and filming for the new series begins this month.